With the next Aussie Charm Swap not far away, I thought I would supply you all with a quick tutorial on how I cut my charm squares and sort them for swapping. It seems like it would be a pretty easy thing to do, however, I get a lot of questions from first time swappers when it comes time to make the chop! And I second guess myself each time I get ready to jump in too. 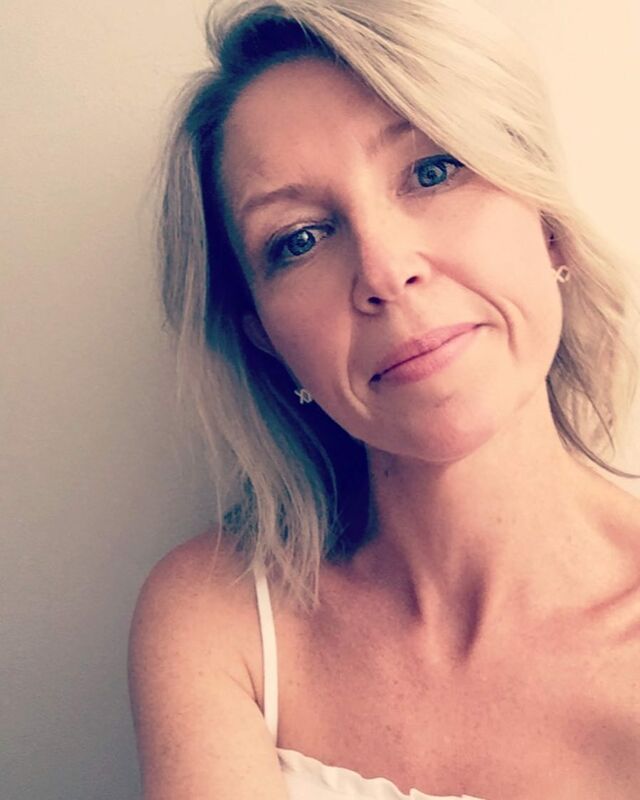 So here you go…. First – make sure your fabric is UNWASHED. Give it a press/iron – folding it selvedge to selvedge in half. Then trim off your selvedges (and hoard them for that selvedge project you may never get around to). 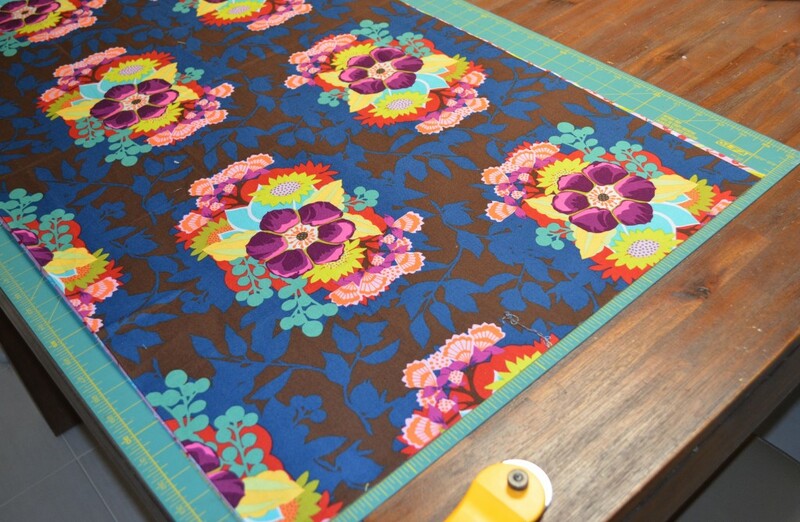 Line your two yards of fabric up together, nice and flat on your cutting board. 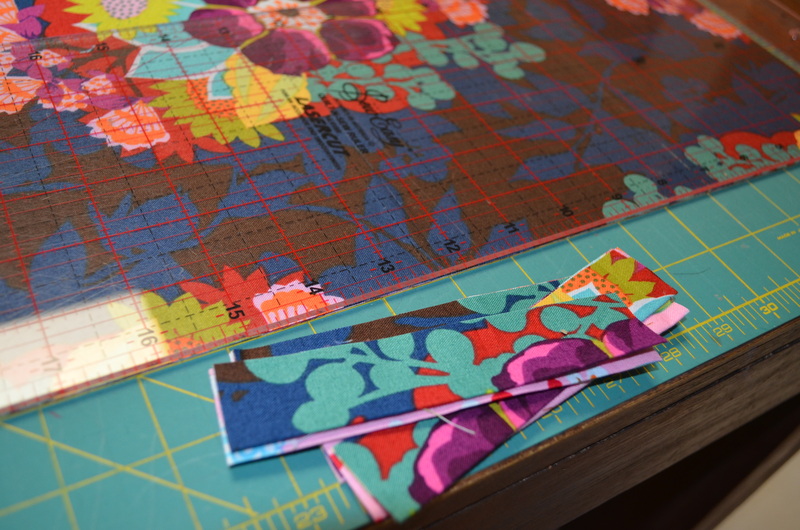 I cut both fabrics at the same time, which reduces the time but also helps with the sorting. 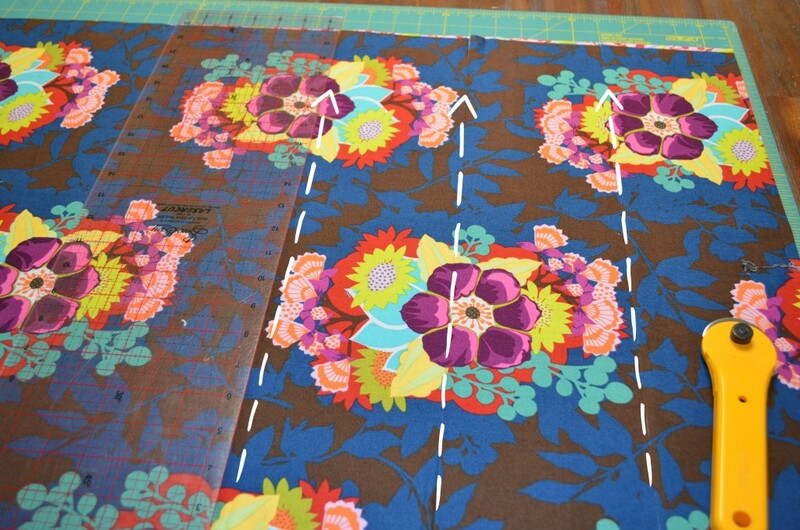 You can choose to cut each yard separately if you wish! Now it is time to cut. 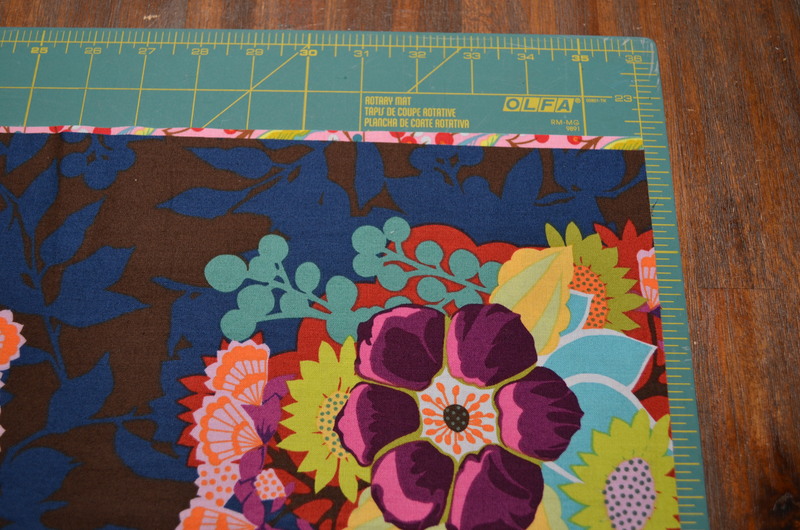 Even off your far edge first, and then, measure 5″ across and line up your ruler, and cut. Repeat this for every subsequent 5″. You will cut SEVEN rows of 5″. You then need to change direction. I separate three of the rows, so I’m left with four, which is the perfect length for my ruler. And starting from the far right again, trim off your edge. 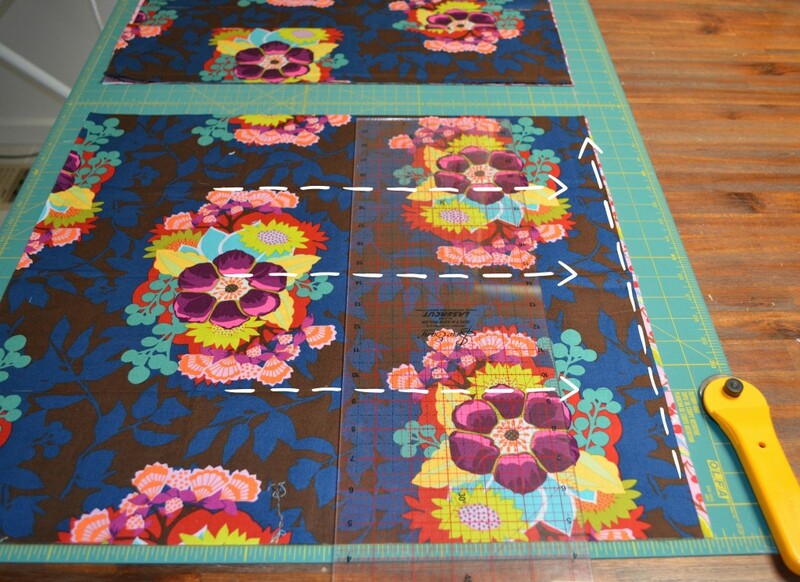 As you did before, measure across 5″ and cut. Continue until you have FOUR rows cut. And don’t forget to do the same with the three rows you put aside! 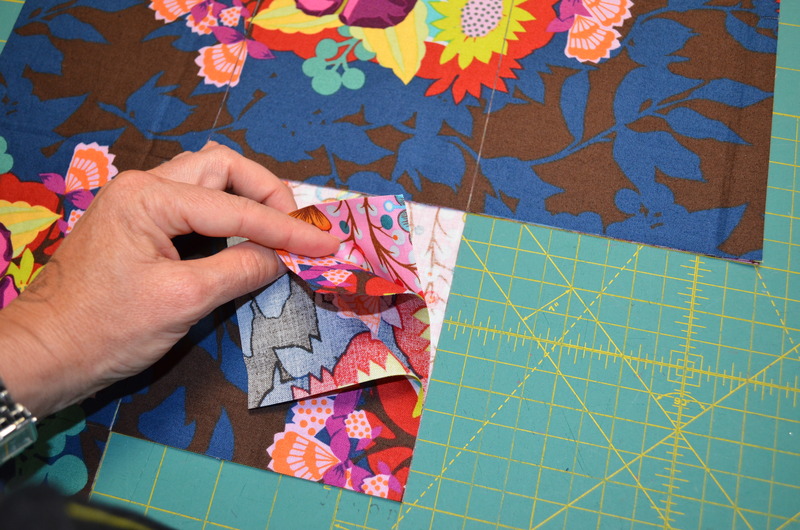 You will end up with some little off cuts on the fold – which are great to put aside as scraps for little projects. You now have 56 charm squares! The next step is to sort them. As you can see above, you have the two centre squares facing each other and already paired. So if you take them out, you then have your next two paired. And the best and easiest way to sort them – which also helps me out immensely when conducting a charm swap – is to them stack each pair on top of each other diagonally, as pictured above! And there you have it! 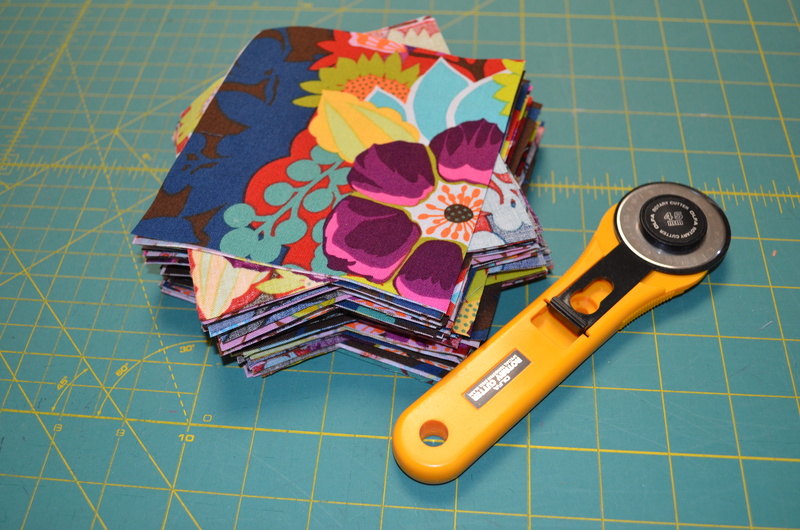 The quickest and easiest way to cut a yard of charm squares! 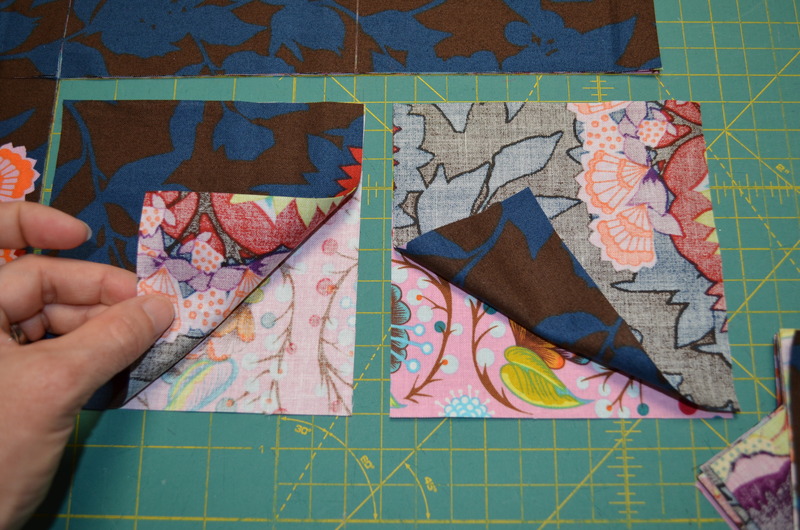 good way t cut 5″ squares ,thank you for this tutorial I will be doing this in future . Great idea…I especially love the stacking idea which I will use and pass on to my Lady Bugs small quilting group, along with your site info. Thanks! Hiya! Thank you for the great tute! I always second (and third and fourth) guess myself when cutting squares. How do you approach making sure they are square? It always stresses me out! Hey Andrea. Glad you found this helpful. I have found that when I cut squares this way, I don’t have any problems with them being out of shape 🙂 No stress allowed! How much yardage did you start with to get the number of squares you ended up with?